Croslite material midsole provides lightweight comfort. FREE UK Delivery on all Crocs orders! There is another Crocband member and it's the Crocband Flip! 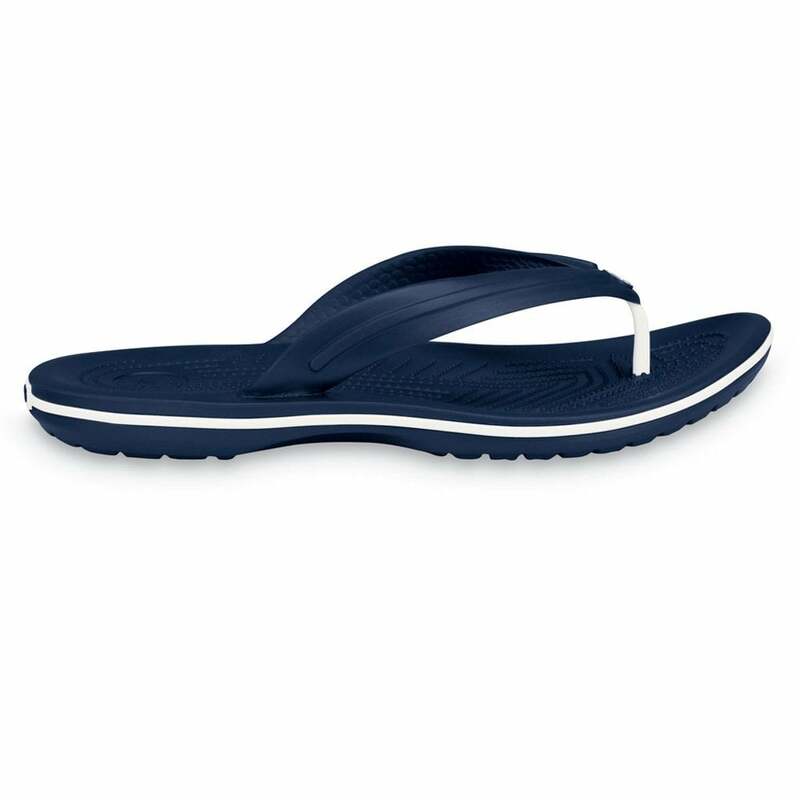 Cool flips for the warmer weather, or wear them indoors if the sun isn't shinning, if you are a flip flop fan, then look no further! If you like the look of these you're sure to be a fan of the Crocs Flats too. Review Summary - 4.8 out of 5 based on 23 ratings. Just as ordered. Light and comfortable. Very good fit despite some differences in sizing information, probably depending upon country of manufacture. A standardisation from Crocs would be useful. Jelly Egg were supremely helpful in this respect with thanks again to Sarah. Very comfortable and good value. Excellent service from Jelly Egg in helping out with explaining the Crocs sizings. Classic comfort from a classic style - just love them! Value 4 money,very good footwear. Love these. Last pair had seen better days (after years of wear) so treated myself to a new pair. Love the style and how comfy they are. Because of all the wet weather haven't actually worn them outside yet-am using them as slippers around the house. Would def recommend. I wear a size 6 normally and am 6-8 crocs size. Comfortable sturdy, well made. Quick delivery on date suggested. Delivery was quick. Good quality shoe. Can't wait to wear them on my holidays next month. Always satisfied with our crocs always stylish and comfortable excellent delivery service. Arrived in 2 days - just before Christmas! I've ordered these fir myself and as presents from this website and it's always prompt service . Would recommend. I have a pair of these in a different colour and whilst the comfort and fit is the same, the finish is inferior. On one the band around the sole started peeling away on the second time of wearing. Both of them have traces of excess adhesive around the badge and where the strap is joined to the sole. \n\nBecause of the poor quality control on the finish I'm not as satisfied with these as I'd hoped.